Heavy duty tube cutter for copper, brass, aluminium and thin-walled stainless steel, 6-35mm. Grooved rollers for cutting near flares. Integral deburrer. 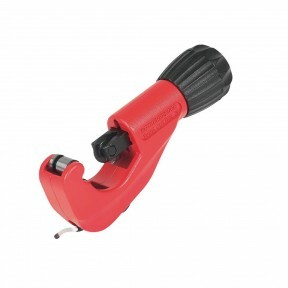 Telescopic action extends within 123mm. Complete with spare cutter wheel in handle.